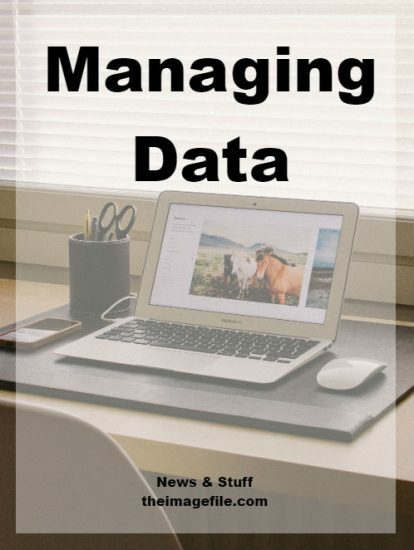 Managing data is hugely important nowadays. The onset of the Internet and digital infrastructure has brought with it the ability to gather all sorts of information. Whether you want it or not. You will be glad to hear that you can benefit from this. It can help grow your business, and not in a stalker, weird kind of way. In much the same way, you probably gather information offline subconsciously but without the cross-checking and data entry into spreadsheets. Every time you meet another local business or engage with customers in your studio or shop, you are making mental notes of their wishes or the ideas they may have to work together. Personalising your messages to your customers, whom you know certain things about, is becoming part-and-parcel of highly effective marketing. Customers expect it. Managing data is really then a more structured way of making a note of your engagements with people. Analysing that data can then help you generate more sales going forward. Newsletters and email marketing. Facebook and Instagram are making it harder and more expensive to promote your business. Email marketing has become a more cost effective strategy. theimagefile system allows for customer data storage and email broadcasting, but there are also plenty of tools out there and software to plug into your website if you are not a customer. Personalising your messages to your customers, whom you know certain things about, is becoming part-and-parcel of highly effective marketing. Customers expect it. As long as it is done well and tastefully. Automation. Along with gathering more of this data, the ability to react to that data in your own time does not need to take up too much of that precious time. Much like being able to set certain social media posts to a schedule, i.e. when you are not in the office or at a shoot, so too can email marketing be scheduled to reach people at beneficial times and with the relevant (to them) offers and products. Tracking. With improved website tools and automation, it becomes clear that certain customers do certain things at certain times. It is important to clearly identify what these trends are and mould your products and activity to suit these trends. For example, if lots of website visitors arrive in November in anticipation of Christmas, your website should be arranged to make the most of that. Automation is a great thing if used correctly and non-invasively. It is important to apply a human touch every now and again when managing data. Make time to study the data. Read between the lines. Look in age groups and geographic patterns to really figure out who is visiting and when. It could be that much of the traffic on weekday evenings come from part of your nearest largest town, inhabited by lots of young families. Or in the daytime from a more sedate part of town favoured by the older generations. Your communication to them, or the products that appear on the site at those times, can then be targeted to them and their interests and improve effectiveness.